"Faith Formation" is our name for Sunday School or Church School. We meet every Sunday at 9:30am. Starts with music and prayer together, followed by smaller classes, divided by age: preschool, grades 1 to 4, and grades 5 to 7. Ever wonder how you get to be a reader, greeter, make the coffee, or bring the cookies? Faith & Care ministry is how. Every month there is a potluck after the service at which you are encouraged to sign up for these volunteer duties the following month. 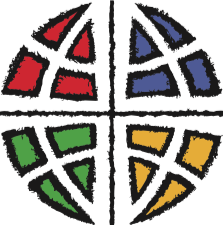 Click here to sign up for Faith and Care online. Every Monday at noon, a group meets in the Library downstairs to discuss Bible study and reading books on a range of religious topics. Every fall we hook up students with families in order to get to know each other and be a home away from home. In the spring and fall during final exam time, St Luke opens its doors to all students who wish to take advantage of our building for quiet group and individual study. Meets every 1st and 3rd Thursday morning downstairs. Come to quilt or drop off ever needed thread and fabric. Quilts go to Lutheran World Relief for distribution to those who need them. 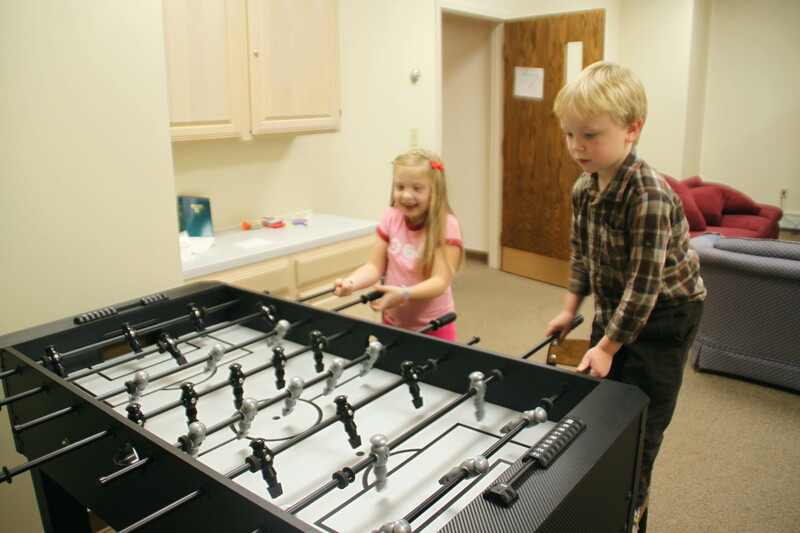 Children playing Foosball in the children's activity room downstairs. 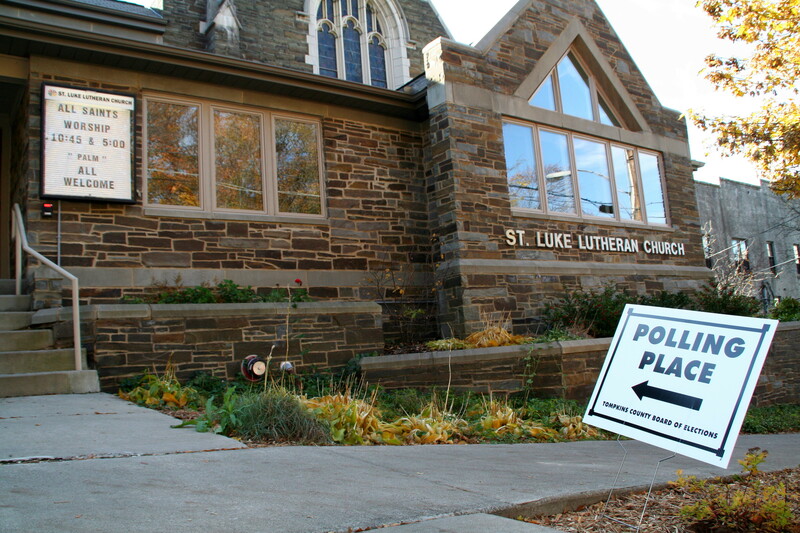 St Luke is Collegetown's polling place.